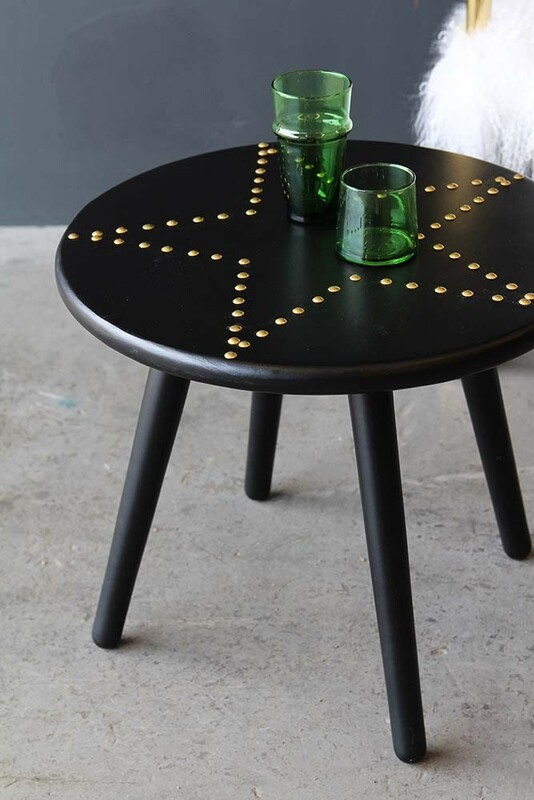 Add some star studded glamour to your home - literally! 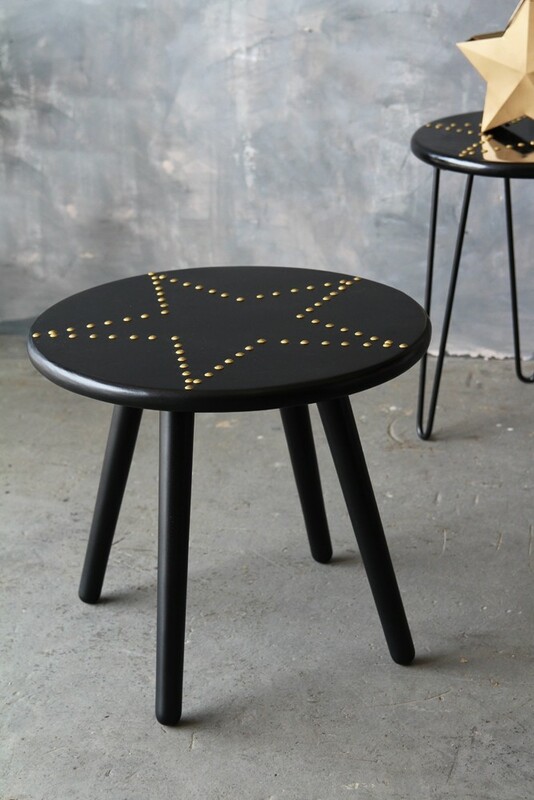 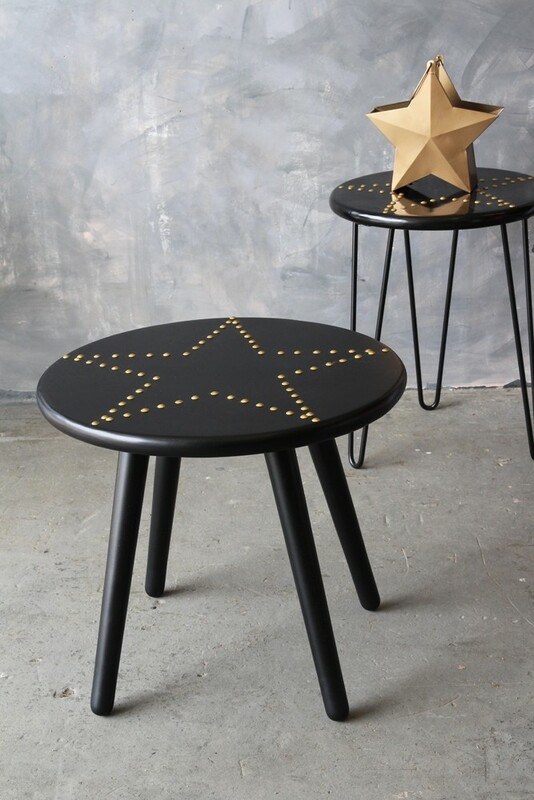 This Black & Gold Star Studded Side Table is the perfect accessory to any room and has the versatility of being used as a stool should you wish to. In black and made from wood, the top then has gold coloured press studs in the shape of a star which whilst simple, has a really great look and feel to it. 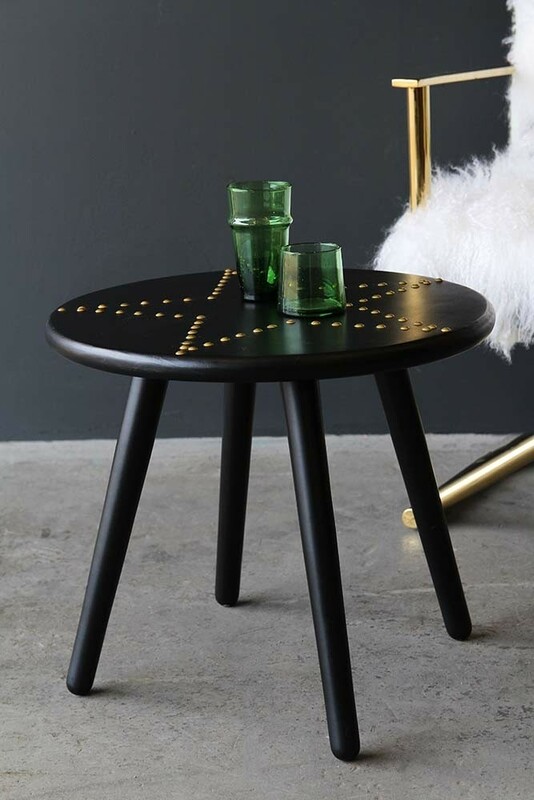 We think this side table will look great in any room in your home including as a bedside table in your teenager's room to add some glamour.